Instagram has an important role to play in any modern brand’s marketing efforts, allowing you to promote products effectively to an audience that’s actually interested in what you have to offer. Of course with more than two million businesses a month already jumping on the photo sharing bandwagon, you need to get creative with your advertising efforts to stand out from the crowd. 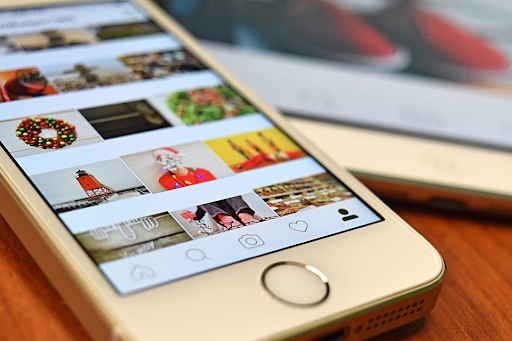 Here are a few useful tips to turn to your advantage when planning your next Instagram ad campaign, allowing you to push your flagship products more effectively. Although it’s obviously important to draw attention to the products you’re selling when crafting Instagram posts, it’s also sensible to share a little more of your brand’s ethos and working environment to get people truly interested in what you are bringing to the table. Engagement can be boosted if you sprinkle in other elements that showcase a different side of what you do, whether it’s employees promoting your products at conferences or the partnerships you have with local charities. Of course even when using this tactic to build your brand image, you still need to make good use of hashtags with each post. This guide to using Instagram hashtags will give you a good grounding in the dos and don’ts of a hard-to-master process. Instagram isn’t just a platform for posting images at random; it gives users and advertisers alike the option to paint a more cohesive, coherent picture of themselves through a carefully structured narrative. The Stories feature is especially impactful as a marketing tool because it lets you demonstrate the benefits of products and services in an engaging, interactive way. Stories can be used to show off how a product functions, reveal some of its features with video and audio clips, add in polls to encourage viewers to vote and engage to a greater degree. Why not go a step further and add links to products within the stories themselves, or include actionable suggestions that compel users to get in touch with your business’ account directly? A well planned Instagram story can also pay dividends when it comes to measuring the impact of your marketing efforts. With easy access to analytics via the Insights feature, all of the interactions, impressions and discovery metrics will be within easy reach. That way you can tweak future stories, find out what works and learn from your mistakes. Also, consider making the most of Instagram live video feature. Your Instagram followers will be more likely to stick around, engage with your brand and buy products if they think that they’re part of an exclusive club. Fostering this feeling is straightforward if you simply create offers that are only available on this particular platform. For example, you might choose to showcase a deal or offer that you will be rolling out more widely in a week or two, but give your Instagram audience early access or even an extra discount that no one else will be able to use. The idea of exclusivity can be explored in other ways; perhaps you could run a competition where users submit their own images via Instagram in order to be in with a chance of winning a prize supplied by your business? Even relatively affordable gestures made on this platform will go a long way to helping your products gain momentum in a sphere where there is an admittedly overwhelming amount of competition at the moment. Ad revenue is growing faster on Instagram than on parent platform Facebook, which should tell you all you need to know about just how potent it has become.